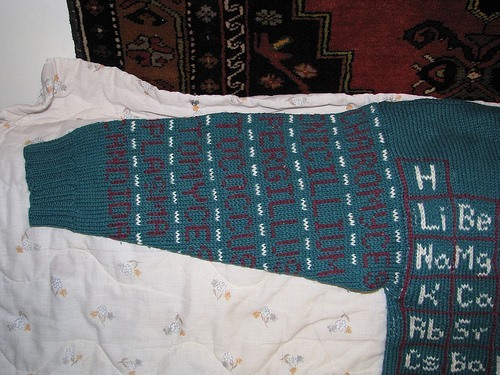 Science geeks everywhere: the ultimate knitting pattern. 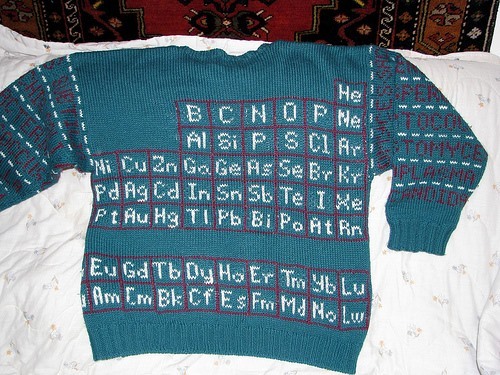 Creator apinnick made this amazing sweater displaying the Periodic Table of Elements for her husband, a microbiologist working in the pharmaceutical industry. 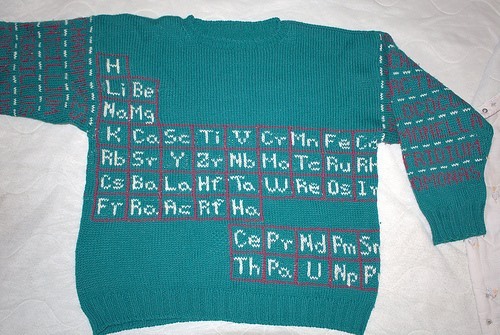 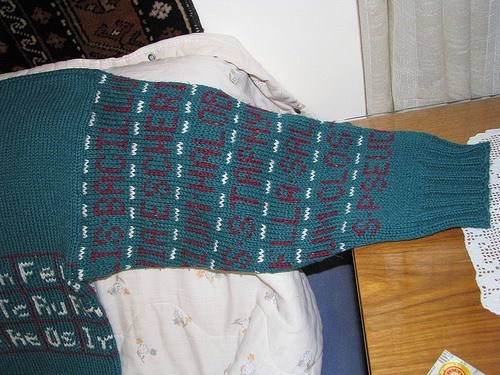 Click through to her blog for her periodic table knitting chart, to learn how to knit-it-yourself.